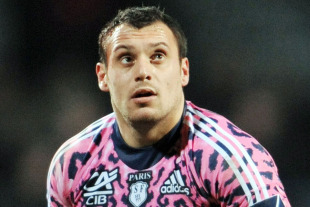 Toulouse have completed the signing of fly-half Lionel Beauxis from Top 14 rivals Stade Francais. The French international playmaker has signed a three-year deal with the reigning Heineken Cup champions and will fill the void left by David Skrela, who has opted for a move to Clermont Auvergne. Capped 15 times by France, Beauxis is currently serving a 20-day ban for a dangerous tackle in Stade's recent win over Castres. Toulouse have also captured Fijian winger Timoci Matanavou from Pro-D2 side Mont-de-Marsan.